education | Richard M. Hicks Consulting, Inc.
During this session you will learn essential techniques for optimizing packet analysis using Wireshark. Topics will include filter and display tips, workspace oganization, using shortcuts for common tools, and configuring Wireshark profiles. I’ll also touch upon some advanced techniques such as graphing and geography database integration. TH20 – Always On VPN: The Good, the Bad, and the Ugly! During this session you will gain a full understanding of Always On VPN including and how it compares with its predecessor, DirectAccess. I’ll share detailed information about this new technology, and how it best fits in to your organizations mobility strategy. 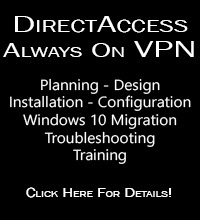 Always On VPN has some important advantages over DirectAccess, and some challenging drawbacks. I’ll explain everything good, bad, and even the ugly. Don’t miss out on this fantastic event. Register now to take advantage of early bird savings, which end June 7. Hope to see you there! This year I’ll once again be bringing my popular Windows 10 Always On VPN hands-on training classes to various cities throughout the U.S. and Europe. These three-day training classes feature comprehensive, in-depth training for designing, implementing, and supporting an Always On VPN deployment in the enterprise. More details and a course syllabus can be found here. The following dates and locations will be featured in 2019. Note: This session will be hosted by RealStuff. Class details and registration here. Space is limited, so don’t wait. Enter your name and email below and selection a training location to reserve your spot today! Two more dates for my popular three-day Windows 10 Always On VPN Hands-On Training classes have been added to the schedule for 2018! Classes are now forming in Dallas, October 23-25 and in San Francisco, November 13-15, 2018. These training classes will cover all aspects of designing, implementing, and supporting an Always On VPN solution in the enterprise. The following topics will be covered in detail. Group discounts are available! Private training sessions for large organizations are also available upon request. I’m pleased to announce I’ll be presenting at the upcoming TechMentor 2018 conference is Redmond, Washington. It will be held on the Microsoft campus August 6-10, 2018. 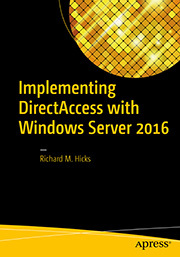 I’ll be giving a talk on Windows 10 Always On VPN for DirectAccess administrators. During this session you’ll learn about the features and capabilities in Always On VPN, how to map existing DirectAccess functionality to Always On VPN, and how to provision clients using Microsoft Intune. I will also share implementation and security best practices, along with DirectAccess to Always On VPN migration guidance. Register today with code RDSPK10 and save $500.00! I hope you’ll join me in Redmond this year for this exceptional learning opportunity. TechMentor provides in-depth, immediately useable education that will absolutely make your life easier! Update: You can view the on-demand recording of this webinar here. 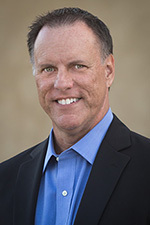 To learn more about NetMotion Mobility, join me on Wednesday, September 20 at 10:00AM PDT for a free live webinar with NetMotion. I’ll provide an overview of NetMotion Mobility and how it compares with DirectAccess. I’ll also demonstrate how it can help overcome some of the inherent limitations of DirectAccess too. Register today!